Hi there!! My name is Erica. Welcome to my creativity and sometimes my madness. 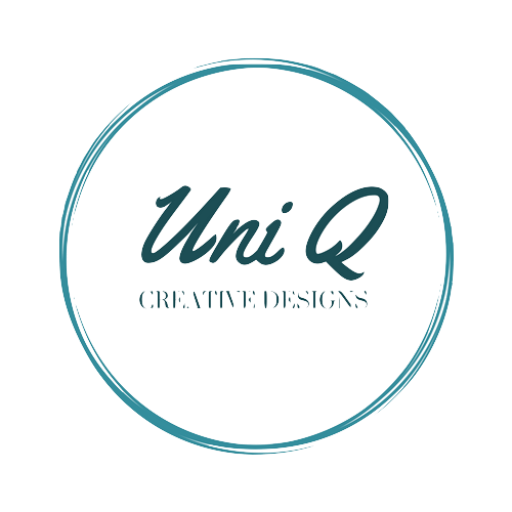 I am the artist behind Uni Q Creative Designs. I opened as Uni Q Creations in 2010 but our real launch was during that summer. Before I fell in love with Photoshop, I was mainly making jewelry and tutorials. While editing pictures for the tutorials in PicMonkey, I discovered I had more fun doing that than with making physical jewelry, so I decided to switch to an all digital approach. That’s when I decided to focus on creating digital materials for scrapbooking and crafting. I also decided to invest in Photoshop. Interestingly, I was never really involved with digital scrapbooking myself and I already had an Etsy shop for my jewelry, so it made sense to continue selling my designs. I just love the total freedom of the empty digital page! You can do anything, go anywhere, be as creative as you want. It’s just wonderful. I totally love sitting at my computer and creating my designs, and if I could, I would be at it all day. My favorite thing about having a store is that I can share my designs with so many people all over the world! It’s just amazing to see how creative other people can be with what I’ve made. I love the vibrant buzz of the community. My design styles have all kinds of holiday, baby, wedding, and special occasion aesthetics to them, but I plan to have more in the future. So, welcome to Uni Q Creative Designs, we’re most happy to have you here. Let us know what we can be for you. And whatever you do: feel free, wander, touch, explore and create your own world! Thank you for taking the time to look and I look forward to hearing from you soon!